Lock in a great price for Shipping Lanes Hotel – rated 9.5 by recent guests! Location perfect....sea view from room amazing.. spotlessly clean and delicious breakfast... Booked for 5 nights had a excellent time...Hosts were very friendly and informative about places to visit....I had such a good time I ended up staying a extra night...Poppy ( my dog ) gives it a thumbs up as well...Next time I'm visiting this area will definitely be staying here again. 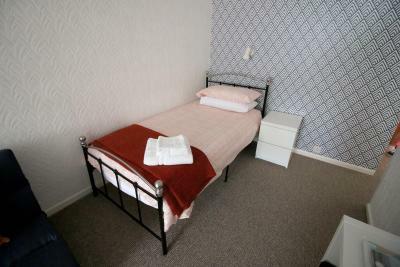 Clean, well appointed rooms with lovely views in a central location. Easy to find. Great location, lovely owners, beautiful views of Morcombe Bay, very clean, compact and bijous triple room, lovely decor, comfortable beds, great made to order breakfast. Perfect place for a one or two night stay. Allows dogs and owners are definitely dog lovers. The owners are so welcoming and friendly. The breakfast was delicious. The room , balcony and view were great. The location is just right. Lovely family feel. Great welcome. Very good breakfast. Wonderful views from comfortable spotless room. Very welcoming and friendly hosts. Addressed problem with hot water quickly and efficiently. Lovely room with fantastic sea view. Good place a good value for money. Friendly and clean and good a breakfast. What more could you want? Decent WiFi as well. 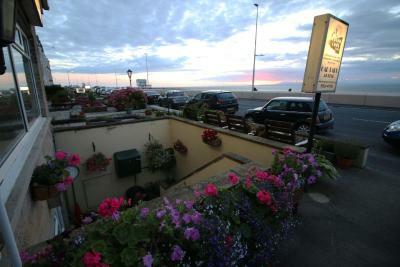 Convenient for local facilities with excellent view over the bay. Good breakfast. Great place, room nice and warm, bed comfy, nice, clean bathroom with powerful shower, excellent breakfast, brilliant value for money! 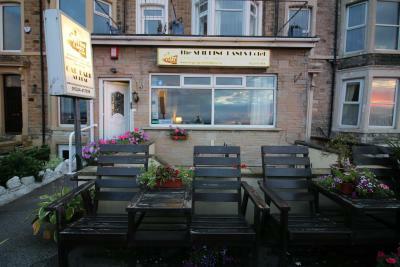 Providing free WiFi, Shipping Lanes Hotel is located in Morecambe. The property features a terrace, as well as a shared lounge. Guests can use a bar. Guest rooms in the hotel are equipped with an electric tea pot. Rooms are equipped with a private bathroom with a shower. All rooms at Shipping Lanes Hotel are equipped with a seating area. The accommodation offers a Full English/Irish or vegetarian breakfast. Windermere is 31 miles from Shipping Lanes Hotel, while Kendal is 23 miles away. The nearest airport is Leeds Bradford Airport, 62 miles from the hotel. 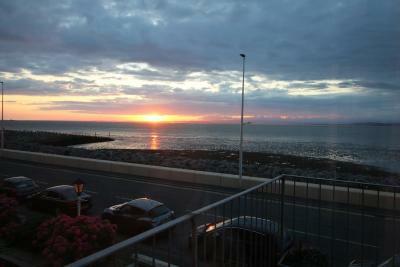 This property also has one of the top-rated locations in Morecambe! Guests are happier about it compared to other properties in the area. This property is also rated for the best value in Morecambe! Guests are getting more for their money when compared to other properties in this city. When would you like to stay at Shipping Lanes Hotel? This single room with attached bathroom has a sea view. It is located on the second floor. 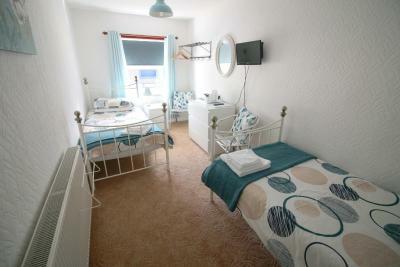 This triple room with attached bathroom features a sea view. It has a double and a single bed and is located on the third floor. The ceiling is low in some parts of this room. This double room with attached bathroom with city views is on the third floor. It is at the back of the property. 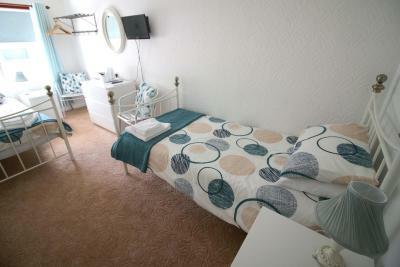 This double room with attached bathroom has a sea view and is located on the third floor. The ceiling is low in some parts of this room. This room has 1 double bed and features a sea view. It is located on the second floor and has an en-suite. 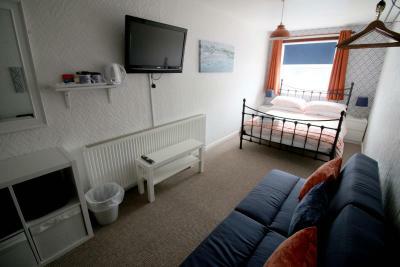 This double room with attached bathroom features a balcony and sea view. It is located on the first floor. This single room has a balcony and sea view. 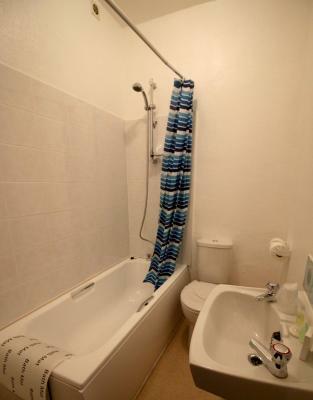 It is located on the first floor and offers an en-suite. 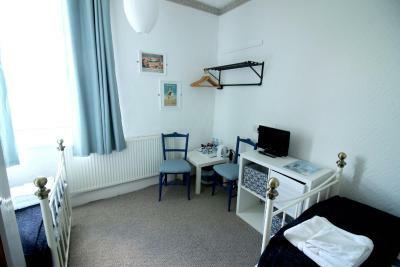 Thi single room with attached bathroom on the first floor and is at the back of the property. 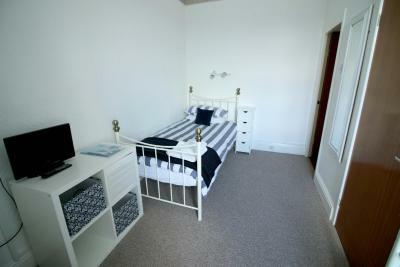 This double room with attached bathroom on the second floor is at the back of the property. 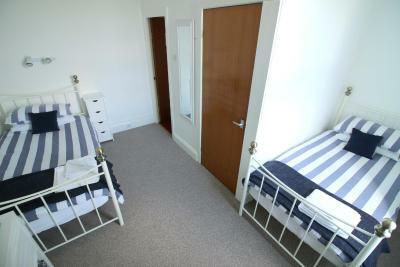 This twin room with attached bathroom on the ground floor is at the back of the property. This room can accommodate dogs. This room is located on the ground floor at the back of the property. The en-suite has a walk-in shower. This twin, room with attached bathroom is located on the first floor at the back of the property. 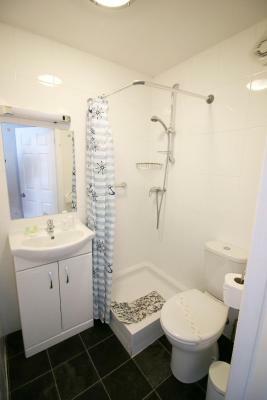 This triple room with attached bathroom is on the first floor at the back of the property. 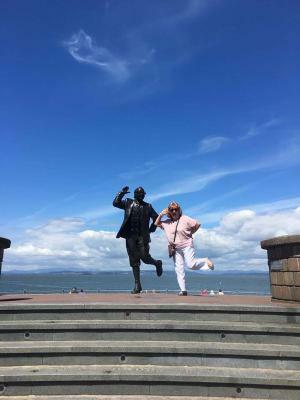 The Shipping Lanes hotel is a traditional sea front hotel, right on the Morecambe promenade with good views to Grange over Sands and Ulverston. A licensed bar makes us fairly unique in our neighbourhood. The private car park and secure cycle storage also set the Shipping Lanes apart from competitors. The hotel in Morecambel with an excellent reputation for cleanliness, service and good food. All rooms have an en-suite private bathroom and include flat screen TVs, kettles and free toiletries. A shared guest lounge with a licensed bar has views uninterrupted views across the bay. House Rules Shipping Lanes Hotel takes special requests – add in the next step! Shipping Lanes Hotel accepts these cards and reserves the right to temporarily hold an amount prior to arrival. For arrivals after 21:00, please inform Shipping Lanes Hotel of your expected arrival time in advance. Please note, only certain rooms can accommodate dogs. Dogs are not allowed on the beds. When traveling with pets, please note that an extra charge of GBP 10 per stay applies. The property will provide a towel and a drinking bowl. I wished the duvet could have been a little wider. Disappointly there was no hot water on second night or second morning. The mattress was a little hard. There isn't anything you could possibly dislike about this property, hosts or location. If you are looking for spa's, jacuzzis and seaweed fritters for breakfast, this place is probably not for you! If you are looking for an extremely pleasant and comfortable hotel, with an amazing location and views across Morecambe Bay, look no further than the Shipping Lanes. I arrived in a monsoon and was met by Alan at the front door. He took my rucksack to my room and made us feel at home immediately. Nothing was too much trouble for Alan, and after a couple of fine real ales ( I'm now a Black Sheep convert!) I took the hound for a stroll down the prom/beach armed with doggy "ploppy" bags supplied by Alan at reception, to save me going back to my room! Some hotels say they are "pet friendly" when, in fact, they should be listed as "pet tolerant"! The Shipping Lanes is most definitely pet friendly. I would say the Shipping Lanes is Morecambe Bays best kept secret. The word is out! Book now, you will not be disappointed. This hotel provides 5* comfort, location and hospitality for the price of a hostel. I wish Alan and Trudi all the best for the future, and hope to see you both in the spring. Friendly people, breakfast was lovely and the view from our room was the best ever! Ideal location, made to feel welcome, good local restaurants. Terrific value for money. Lovely staff and place, shower great, beds comfy, very clean, good location etc.. walls a little thin but otherwise nice spot.